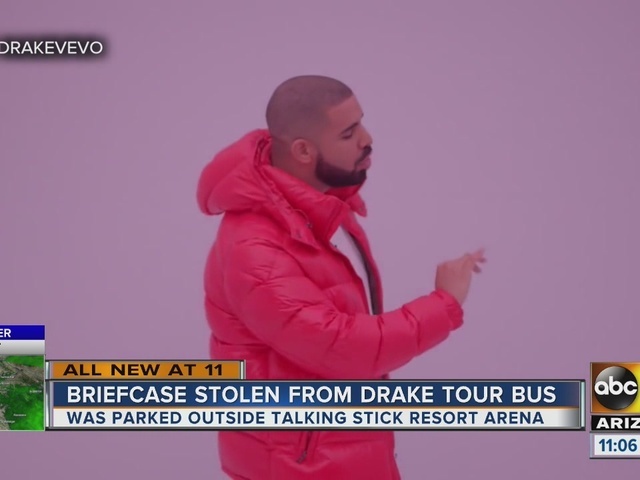 Phoenix police are investigating after someone snuck onto Drake and Future's tour bus in Phoenix on Tuesday and stole nearly $3 million worth of property. According to police, between 10 and 10:15 p.m., an unknown person boarded the bus parked at Talking Stick Resort Arena in downtown Phoenix. The suspect took a briefcase which police said had around $3 million worth of property inside. The rappers were performing the Phoenix stop of the "Summer Sixteen" tour at the time.